To enhance the living space of your home, we incorporate feng shui principles and integrate these taking an aesthetic approach into the built environment. This is done through choice of materials and use of colour palettes. Space planning and visual perspective techniques can then be balanced to create something that suits your lifestyle. 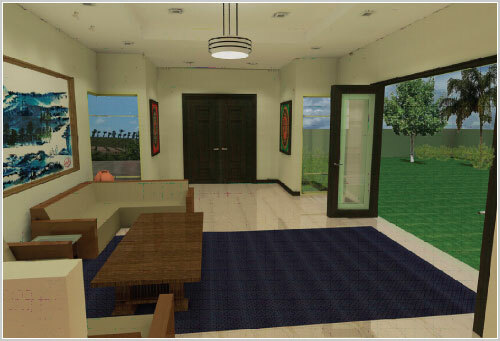 In this scenario, the general furniture layout is arranged so the visual attention is drawn away from the main door and directed towards the garden outside. This encourages energy to accumulate within the main living area before flowing into the rest of the home. This kind of arrangement suggests good feng shui. The entrance foyer sits in the middle of the overall elevation, flanked by a set of paintings and corner windows to enforce the prominent nature of the main door. On each wall adjacent to the main door, paintings of protective symbols are introduced to create protective Chi for the home. In the living area, the furniture is placed such that it diverts the view to the exterior garden. This room alignment is reinforced through the use of a central background painting and a feature carpet. So when you have two functions (foyer and living room) set within a single space, the visual alignments can be set perpendicular to each other thus allowing both spaces to synergize without being in conflict with one another. 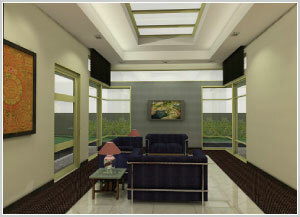 In another living room scenario, the entire layout is focused on a central perspective theme. The settee set is placed in the center with a carpet border surrounding a central marble floor platform. This creates a break between the hard floor and wall surfaces which softens the expression of the space. There is also created a yin and yang effect on the floor which results in better balancing of chi energy. You can use design to achieve to integrate the 5 elements into your living space. How? The fire element comes form the light energy coming through a skylight which acts as a feature opening above.. The exterior walkway surrounding the living area is flanked by a landscape stone pathway, surrounded by a reflection pool to add elements of earth and water respectively. Plants (wood energy) are used as a feature wall in the background to soften the overall perspective view. The final element of metal (signified by the color grey) is highlighted by a feature wall within the enclosed space itself. So any space can integrate the 5 elements of feng shui. The use of portals is a highly efficient technique of creating viewports around the home. This allows the architecture to define the function of a space as well as to separate private and public spaces through finishes and detailing. In this pool scenario, the double framing effect allows the pool and backdrop to hide behind as if to set a picturesque appeal to the space. Remember that such ‘framing’ portals need to be of a sufficient width and height as to not be seen as doorways. As a backdrop, a double feature effect is used whereby a solid feature wall creates a sense of privacy while trees soften the hard effect of the materials play used.. The importance of understanding material play is essential here as like all concepts, design always incorporates balance. You can harmonize a space through colour or through the material weight of your design palette. In this case, the trees and pool offer a soft or yin texture to the frame, while the feature wall acts as a solid yang surface. So in this manner, the view of the reflection pool follows a yang-yin-yang-yin balance of material textures. The use of colours also plays a vital role in defining the function of spaces. In this corridor design, the first thing to note is the width of the space. When designing corridors within the home, you need to give walkways ample space for movement. This not only allows the energies to flow smoothly around the home but also the ability to access spaces with ease. Here the central red carpet breaks up the monotony of the hard marble floor. This colour is duplicated on the portal frame which sets the tone for the main destination. 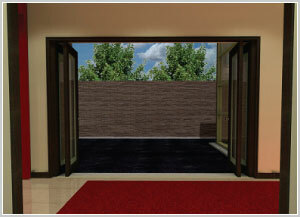 Again, a feature wall is highlighted in the background to reaffirm the overall design theme. Here you can see how colours can be used in a subtle format to define spaces. While the space yonder seems accessible to the public, the choice of colours gives a gentle reminder that the room is a private room. 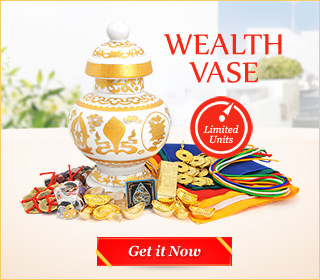 When you integrate concepts of feng shui, you have to look at the aesthetic nature and visual perception of space. Look at how the rooms are orientated. When you have two spaces designed as one, redefine the orientation such that they are perpendicular to each other. Understand the use of your material palette. Always balance soft (yin) with hard (yang). Over-use of any material can bring visual unbalance to overall house concept. Be sure to use portals sensibly, and remind yourself that these architectural features offer a tool to frame the unique features around your home. The idea is to create a gallery of views. Next articleMaking Decisions Before You Renovate – Is A Larger House Always Better?